Diamonds are available in varying colours, sizes and qualities. They naturally occur in colours ranging from very clear fine whites to pinks, bright yellows, greens and browns. The majority of diamonds used in jewellery today are white diamonds. The value of a white diamond is determined by what are commonly referred to as the 4Cs. The 4Cs are the Diamond’s Cut, Colour, Clarity and Carat. Each of the 4Cs are important and the most valuable Diamonds are those that possess the best of all four measurements. Clarity is the term used to describe the size and number of inclusions in a diamond. Almost all diamonds contain minute traces of non-crystallised carbon, the element from which they were born. These inclusions are nature’s finger print and make every diamond quite unique. Most are not noticable to the naked eye and require magnification to become apparent. Large inclusions interfere with the dispersion of light and therefore the diamond’s brilliance. The larger or more numerous the inclusions the less valuable the diamond. The fewer the inclusions, the rarer the stone. Each diamond will have its own unique inclusions in various positions within the diamond. VVs (Very very slight inclusions), Vs (Very slight inclusions) and Si (Slight inclusions) inclusions are not visible to the naked eye, they are only visible through magnification. While many diamonds appear colourless, or white, they may actually have subtle yellow or brown tones that can be detected when comparing diamonds side by side. Diamonds were formed under intense heat and pressure, and traces of other elements may have been incorporated into their atomic structure accounting for the variances in colour. Diamond colour grades start at D and continue through the alphabet. Truly colourless stones, graded D, are extremely rare and very valuable. The closer a diamond is to being colourless, the rarer and more valuable it is. The colour of a diamond is graded with the diamond upside down before it is set in a mounting. The first three colours D, E, F are often called collection colour. The subtle changes in collection colour are so minute that it is difficult to identify them in the smaller sizes. Although the presence of colour makes a diamond less rare and valuable, some diamonds come out of the ground in vivid “fancy” colours – well defined reds, blues, pinks, greens, and bright yellows. These are highly prized and extremely rare. The weight of a diamond is measured in carats. One carat is divided into 100 “points” so that a diamond of 25 points is described as a quarter of a carat or 0.25 carats. The larger the diamond (and therefore the rarer) the more expensive per carat it will be. For example, a 1ct diamond costs much more than two 1/2ct diamonds and one 30 point diamond costs much more than 30 one point diamonds. The Carat measurement of a diamond is actually a measurement of the Diamond’s weight rather than its size or diameter. This is important to remember as depending upon the proportions of the Cut of the diamond, some diamonds may appear to have a larger top surface area (“table”) than an ideal cut diamond but the diamonds may be of the same carat weight. Diamonds are sometimes cut in shallow proportions (see below) to make a diamond look bigger but this sacrifices the brilliance and life of the diamond and make them less valuable. See the information about Cut below for further details. Do not confuse carat with karat. 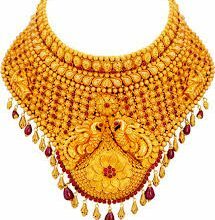 Carat refers to stone weight while karat refers to fineness of gold. While nature determines a diamond’s colour, clarity, and carat weight, the hand of a master craftsman is needed to release its fire and beauty. The cut gives each diamond its unique sparkle and brilliance by allowing the maximum amount of light to enter and reflect back out of the diamond. Diamonds may be cut in different shapes with the most common shapes being round (brilliant cut) and what are referred to as fancy cut diamonds including marquise, oval, pear shape, baguette and princess (square)cuts. So why aren’t all Diamonds cut to ideal proportions? 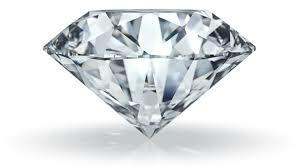 Largest cut When a diamond cutter is given a diamond crystal to cut into a finished diamond he has a choice to make: Will he cut the largest diamond that he can from the rough crystal or will he cut the brightest and most brilliant diamond that he can? If he goes for the largest cut diamond he will sacrifice some brilliance. If he goes for the most brilliant he will sacrifice some size. The more brilliant diamond is smaller but is valuable because it is so brilliant. The larger diamond is valuable because it is large, but is worth less per carat because it is not so brilliant. Brighter ideal cut is recommended because of its brilliance… a brilliance that will last forever. To find the best Diamond that fits within your price range it essentially comes down to a compromise between the 4Cs and your consideration of which factors are most important to you. You may choose a larger lower colour diamond or prefer a smaller high colour, cut and clarity diamond. You may for example choose a relatively large 75 point (3/4 carat) diamond in a high colour F collection colour and a slightly lower Si1 clarity. This means that you have a large diamond with a very good colour and which to the naked eye does not have any inclusions. On the other hand, having a diamond that has as few inclusions as possible may be important to you (even if you need a microscope to see the inclusions), in that case you may choose a high VVs or Vs clarity, a good colour G and a smaller diamond carat weight. Once you know how diamond grading works, it’s just a matter for you to decide what is best for you.